FREMONT - Jean Scott Pierce, 85, died Saturday, October 20, 2018. Funeral, Thursday, 2:00 PM, Fremont United Methodist Church, followed by visitation. Interment, Elmwood Cemetery. She was preceded in death by her husband, Homer G. Pierce. 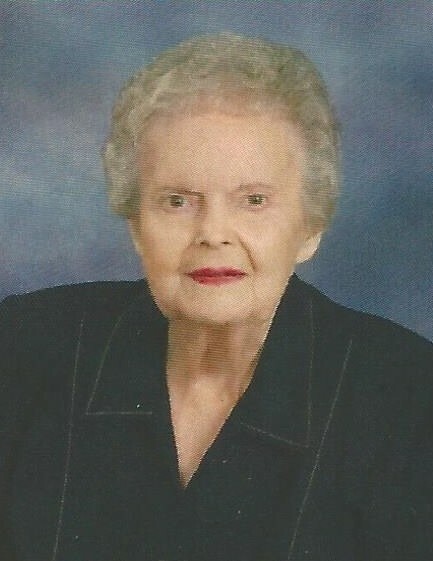 Mrs. Pierce is survived by her daughter, Patty Hicks (J.D.) of Pikeville; sons, Sam Pierce (Pam) and Frank Pierce of Fremont; grandchildren, Jim Hicks, Will Hicks, Brian Pittman, Bruce Pittman (Lacey) and Sam Pierce (Brooke); great-grandchildren, Landon, Spencer, Rowan and Riley. In lieu of flowers, memorials may be directed to Fremont United Methodist Church, PO Box 147, Fremont, NC 27830.